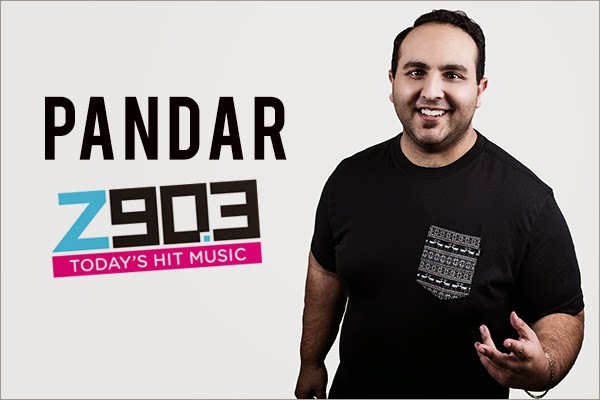 After scouring the nation and the many stellar candidates inside our own building, I’m happy to announce Sean “Pandar” Yaghmaee as the official “nighttime” personality on Z90! Over the years, Pandar’s efforts, hard work, team attitude and unbridled enthusiasm makes him the perfect choice for this very high-profile position. Pandar will be on Monday-Thursday from 6PM-midnight and Fridays 6PM-10PM. Please congratulate him when you see him in the hallways. You may or may not see some farm animals in the studio on Wednesdays—this has been approved by Gregg and Angelique. Sunday Nite Slow Jams - now heard on 50 radio stations worldwide!